15-year-old Leo is an orphan being raised in an abbey in the days of King Richard the Lionhearted. He knows nothing of his parentage and has little hope for a future outside the familiar but sometimes restrictive monastery walls. Under the firm and loving hand of Abbot Michael, Leo has been well trained in piety, obedience and courtesy, and has begun to master a strong will and quick anger. Nevertheless, he is restless, longing to go out into the world for a time before renouncing it forever. Abbot Michael alone knows Leo s story and family line and unexpectedly, when the heir to the house of Wardlock is killed in the Crusades, he sets in motion events in which Leo will need every scrap of wisdom and endurance gained in the years at the abbey. For he is not only heir to Wardlock, but also to its rival the house of Tr�moine! 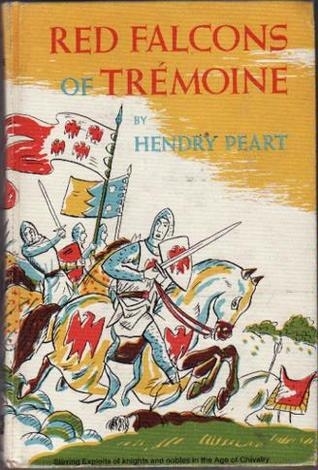 Vividly set in the deeply pious and violently turbulent twelfth-century England, this authentic and stirring tale of suffering and courage shows a boy who to claim his heritage must first see it transformed by the power of love and forgiveness. About H. Peart (Author) : H. Peart is a published author of children's books. 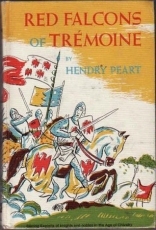 Published credits of H. Peart include Red Falcons of Tremoine.